I worry about my eyes. For several reasons. One, the steroids I take on a daily basis to keep my skin disorders at bay only serve to exacerbate my chronic dry eye syndrome (oh the joys of being a woman in the state of menopause). In addition, being on Plaquenil for SLE (Systemic Lupus Erythematosus) increases my risk for ocular toxicity namely retinopathy, making me even more paranoid conscientious when it comes to the health and well-being of my eyes. As you can imagine, the green element plays a vital role in determining the types of eye products I invest in, particularly when it comes to cleansing. In the past, I was oblivious to how many products contained harmful ingredients and couldn’t fathom, for instance, why my eyes were red, burning even after being cleansed with a leading luxury (but non organic) brand product. I simply chalked it down to having let slip some of the lotion/cleanser/liquid into my eyes, causing the stinging, and made mental notes to be extra diligent in the future. Yet such unpleasantness would recur, over and over and yet over again. It finally dawned on me that it wasn’t my inept cleansing skills (ahem, I’m quite the klutz so this was something I was very quick to believe in at first) but rather the product itself which was causing all the discomfort and pain. Once I’d accepted that, I knew I had to look around for clean, non toxic, allergy-free, organic, green products that wouldn’t only do the job but also be healthier and smarter choices for my eyes. There are quite a few options currently available in the market but a serendipitous moment led to my “meeting” Tanya Gill, an optometrist, on Instagram. Having 15 years of experience treating patients at her private practice in Oakland, California, she’s has seen her fair share of various eye conditions. 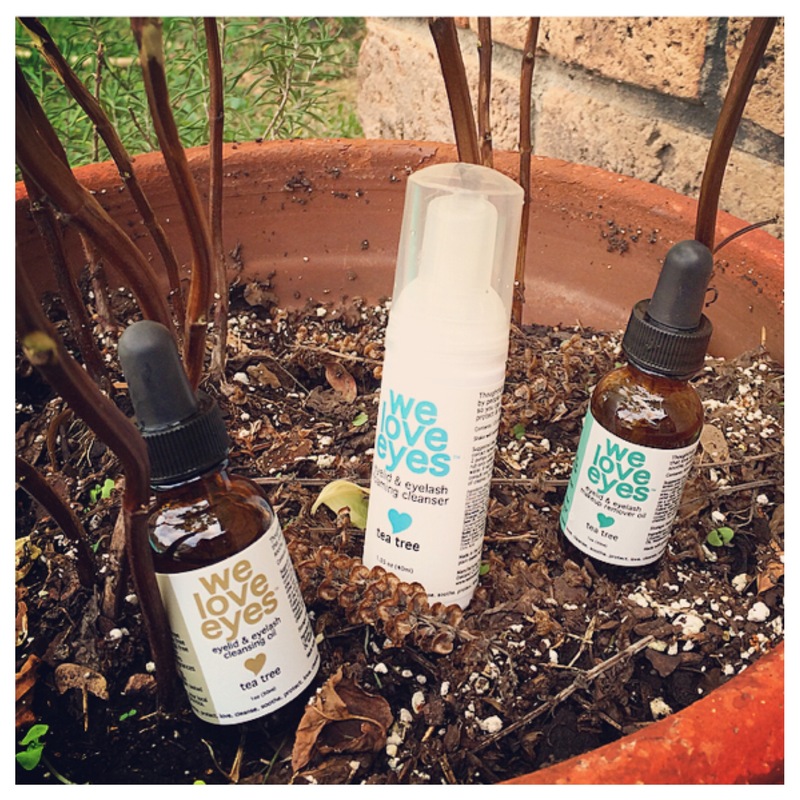 And when it dawned upon her that perhaps, just maybe, it was the bevy of existing eye makeup removers as well as cleansers that were causing the symptoms her patients were complaining of, it was a true eureka moment which led to the birth of the We Love Eyes line. First up is the Tea Tree Eyelid & Eyelash Cleansing Oil ($26 for a 30ml bottle). That Tea Tree scent? It grows on you, doesn’t it? It certainly did on me, and, I feel certain, it calmed me a lot. It was (blissfully) unexpected. I wasn’t very adept with the application of this product at first and splashed much too much on my lashes (I prefer to use cleansing cloths instead of cotton tips because the latter tend to shed on my lashes) but here’s the thing, nothing hurt. Despite my klutzy skills, my eyes weren’t in the least bit hurt by the oil and that was epic. After removing the oil, I started all over, this time following instructions to the letter, and I can say with utter relish that this. product. works. beautifully. 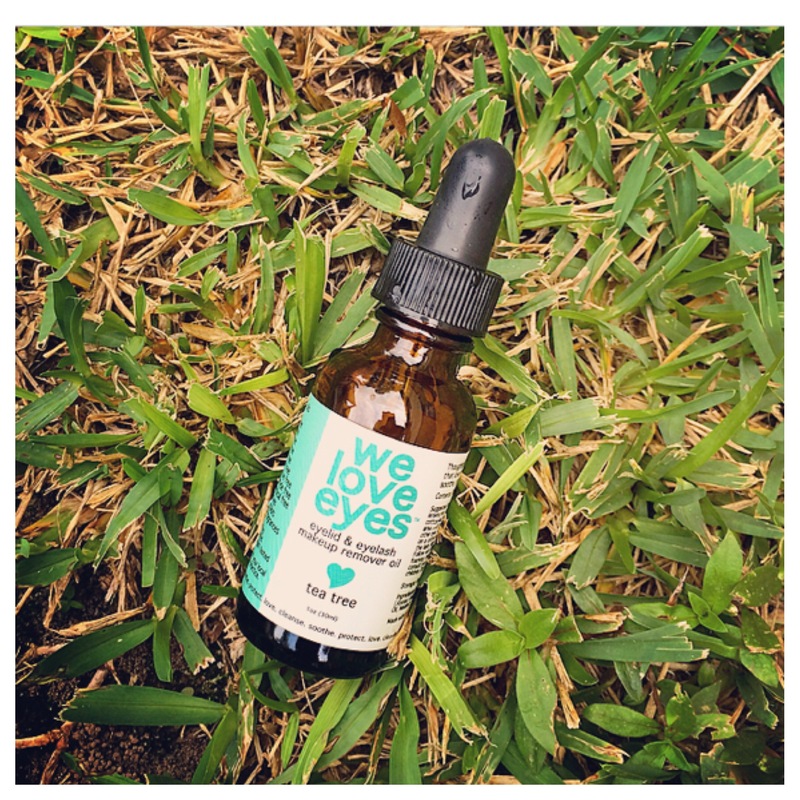 The higher concentration of Tea Tree Oil in this charmer is so perfect for my old lady mature eyes Dry Eye Syndrome. Just don’t do what I did. A little goes a very long way and does the job most wondrously be your lids be made up or otherwise. I reserve this for days when I feel they need a little extra care, deeper cleansing. 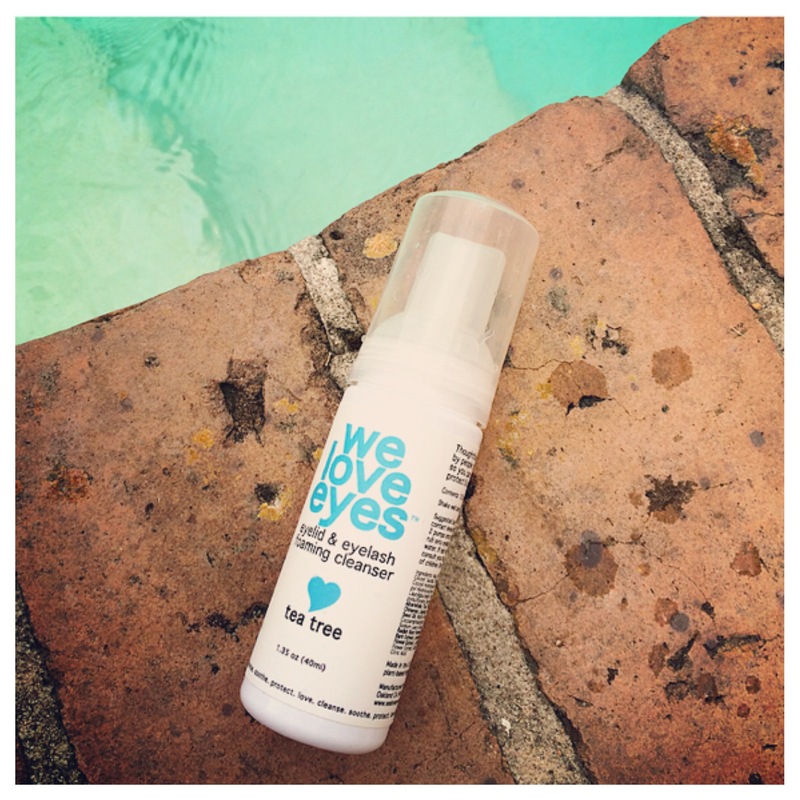 Then there’s the Tea Tree Eyelid & Eyelash Makeup Remover Oil (also $26 for a 30ml bottle). I put this one to the test, I did. I applied 10, yes 10, coats of Waterproof Mascara in the morning and in the evening, I used this to see if it would work in removing all that gunk. And finally, my personal favourite, the Tea Tree Eyelid & Eyelash Foaming Cleanser ($28 for a 40ml canister). I would marry this thing in the blink of an eye. Just shake and dispense two pumps onto the tips of your cleansed hands, rub gently across your lids (contact lenses off first, please), and let the magic begin. I’ve become rather addicted to this foaming cleanser and have used it on days with makeup on full tilt as well as days when I’ve gone au naturel. It’s simply such an essential item to have in your beauty kit. I can’t stress enough how cleansed and fresh my eyes felt after using even only one of these three products. 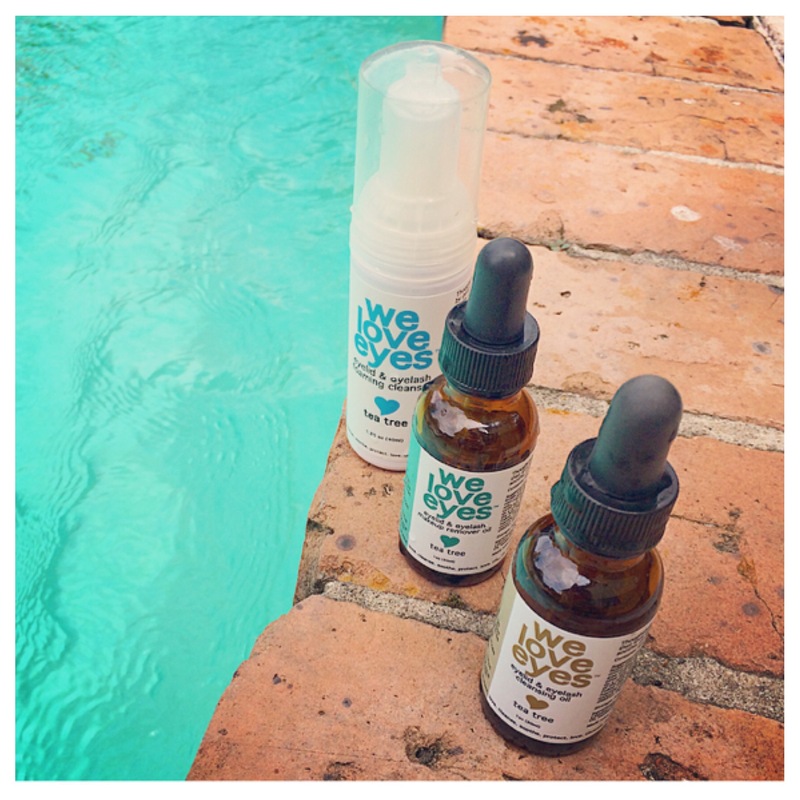 True, the nature of its formulation makes this line particularly appealing for those of us with sensitive eyes and/or dry eye syndrome but I’ll say this, it’s equally suitable for those in search of safe, organic, cruelty-preservative-paraben-fragrance-toxic-free, allergy tested, all natural cleansing products for healthy eyes. Vegan, too. p/s tell me how they worked for you!! Thanks for sharing these products! Removing my eye makeup can be tough. Even when I think I’ve gotten it all off, the next morning my under eyes are still black. Crazy! That used to happen to me all the time when I was using removers from Shiseido as well as Lancome but no such thing with We Love Eyes 🙂 give it a go, they’re quite remarkable and very affordable too. Thanks for the review. Lovely photos! I am going to have to read this further ad look into it. I could use something for my eyes. I can sympathize with what you mentioned about effects being brought on by menopause.Not there yet,but hormone changes havebrought on Melasma, some dark patches of skin I need a dermatologist for. So fun! Hahahaha, yeah menopause is a beast of a different nature 🙂 be wary of dermatological recommendations for dark spots though, it’s typically Hydroquinone (4%) which I personally find to be exceedingly harsh for normal skin, let alone sensitive ones. This sounds like some great products. Thanks for sharing! Thank you for joining TBT Fashion link up and hope to see you next week. They are amazing, Alice. I really put them to the test, and even last night, I left my waterproof mascara on overnight (shhh) and this morning, all it took was a few swipes of the Makeup Remover Oil then the Foaming Cleanser and nary a spot of mascara was left 🙂 I even used the Foaming Cleanser to very effectively remove a new waterproof lipstick.